1. Zaman’s Editor-in-Chief Ekrem Dumanlı was released from custody due to lack of evidence, according to press accounts. 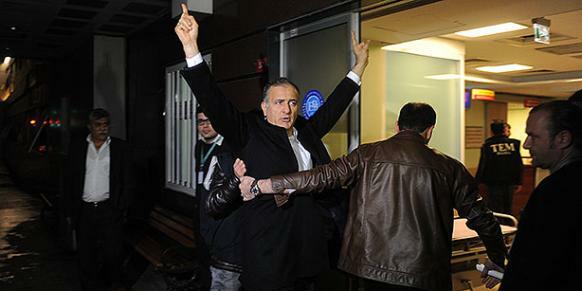 Four others, including Samanyolu TV General Manager, Hidayet Karaca, will be held pending trial. As Amnesty has noted, extended pre-trial detentions have been a serious problem in Turkey. For example, “Ahmet Şık and Nedim Şener were released after 375 days of pre-trial detention.” Like the current case against Gülen supporters, the Ergenekon case envisioned a massive plot to overthrow the government and raised serious concerns regarding basic judicial fairness. For many observers, including some in the movement itself, the irony that the Gülen Movement aggressively supported the Ergenekon trials has not been lost. This fact does not change the basic standards of human rights that we all must uphold. It is with this in mind that Ahmet Şık, one of the most vociferous critics of the Gülen Movement, has been so critical of these recent arrests. 2. Media reports indicate that commemorations of the 1978 Massacre in Kahramanmaraş have been banned by the local governor. Such bans have been a perennial problem in this provincial city, but reflect the casual limitations on freedom of expression which still plague Turkish public discourse. As Bilgin Ayata and Serra Hakyemez have argued, the AKP, which has been remarkably willing to open up discussion of some horrific chapters in Turkey’s history (most notably Dersim), have nonetheless, been extremely selective (and instrumentalist) in their choices. Crimes such as those Maraş, in 1978, or in Sivas, in 1993, which might implicate their own devout Sunni base, are much less likely to be seriously addressed. Worse, the government continues to actively stifle debate, investigation, and remembrance of many of these crimes. 3. And finally, some very, very good news. Minutes ago, a Turkish court acquitted Pinar Selek for the fourth time. Let’s hope that this marks the end of a tragic, Kafkaesque trial that has haunted her life for seventeen years. This entry was posted in Amnesty International, Freedom of Expression, Impunity, Minorities, Press Freedom and tagged Ahmet Sik, AKP, Bilgin Ayata, Dersim, Dumanli, Ekrem Dumanlı, Ergenekon, Hidayet Karaca, impunity, maras, massacre, Pinar Selek, pretrial detention, Serra Hakyemez, sivas, Zaman Newspaper. Bookmark the permalink.